The are no automatic renewals to worry about with this subscription either. 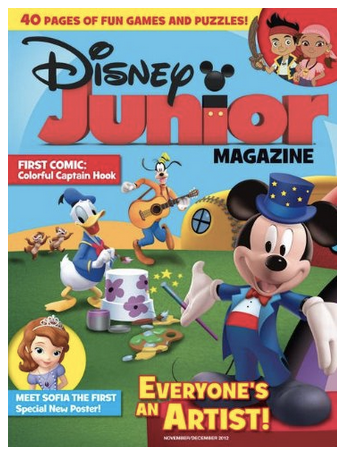 Disney Junior features magical storytelling and playful activities from favorite Disney Junior characters. It encourages preschoolers imagination and learning through stories, play activities and fun games. Just use coupon code: BARGAINSHOPPERMOM at checkout to get this great deal! You can also save 20% off almost all other titles at Discount Mags when you use coupon code BARGAINSHOPPERMOM. Looking to do any other online shopping, remember to use my Online Coupon Code Database with 1000s of discount and promo codes! Looking for more magazine bargains? Check out these too!